Few things have the power to realistically terrify us like a home invasion. The notion of someone entering our private world to do us harm chills us on a primal, visceral level. Now imagine that feeling if you couldn’t hear your attacker coming. 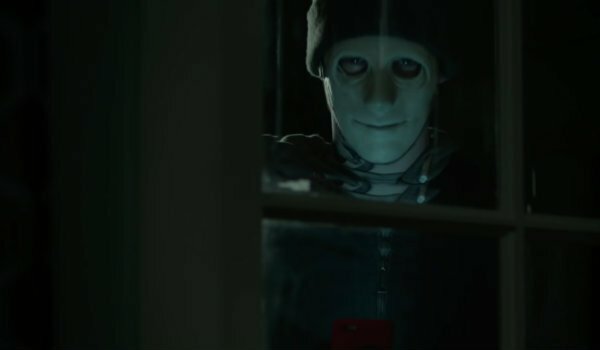 The upcoming horror film Hush takes this idea and runs with it, and the trailer, recently released at the SXSW film festival, has pretty much completely freaked us out. Check it out below. As far as horror movie trailers go, Hush’s preview has it down to a science. Centering on a deaf recluse named Maddie Young (Kate Siegel), the trailer shows her living her life in an isolated house one evening. While playing around on her computer, she begins to receive ominous text messages, followed by pictures of her sitting in her own living room. She slowly creeps her way to the front door to find that a man in a terrifying white mask has been watching her through the open door, and she scrambles to close the entry to her house as he charges her. This begins a terrifying ordeal where the hermit must fight for her very survival against an intruder who has a sensory advantage over her. Hush takes the incredibly well worn concept of home invasion and turns it on its head. Maddie’s hearing problems will quite obviously put her at a disadvantage during her battle against the intruder, and likely represent a major obstacle for her growth as a character. Numerous recent horror movies have gone to great lengths in order to set their home invasion premises apart: You’re Next made the film’s heroin a survival expert, while The Purge made getting in touch with the authorities an impossibility. We have to say, all things considered, Hush has a novel premise that we cannot wait to check out. In many ways Hush feels like a sort of spiritual successor to the 1967 Audrey Hepburn thriller Wait Until Dark. While that particular film saw a blind woman under siege during a terrifying home invasion, Hush approaches a similar situation from a different sort of disadvantage. Maddie may be able to see what’s in front of her during the attack in Hush, but her lack of hearing will make prove just as terrifying as blindness. With all of the horror movies hitting theaters these days, it takes quite a bit to get us freaked out. Hush manages to get us scared with a less than two-minute trailer. We will bring you all of the latest and greatest news about the upcoming horror film as it becomes available to us.